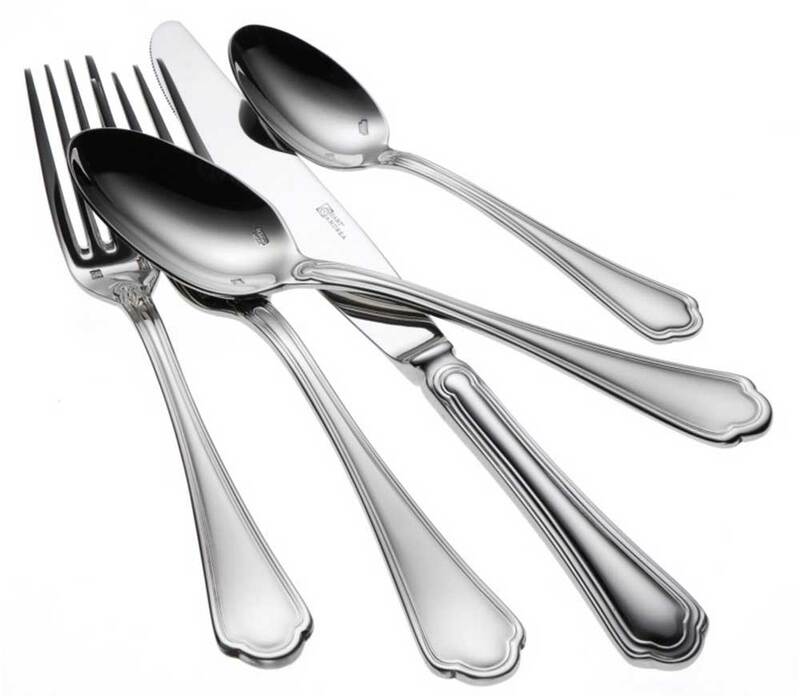 Oneida Rossini flatware pattern blends classic European themes with a contemporary sense of style. Incised lines along the handle culminate at the tip end in a stunning crown detail. Constructed of 18% chrome stainless steel and 10% nickel - giving it a superb finish and long lasting durability.